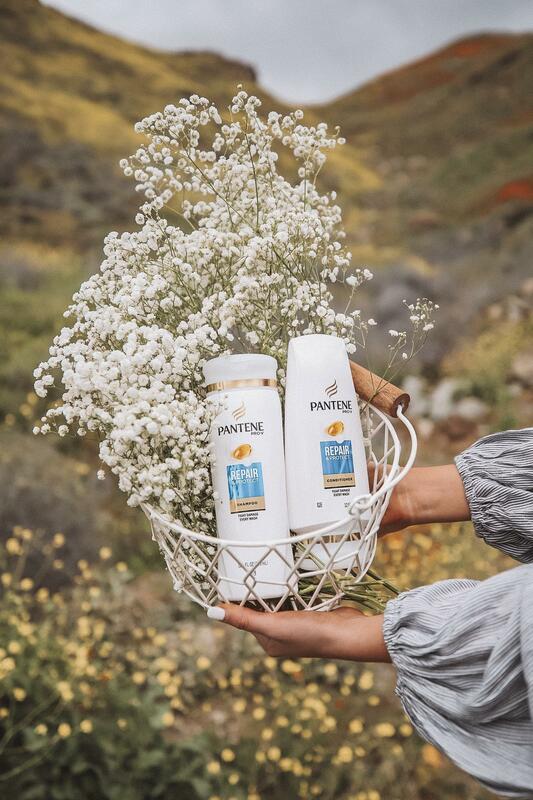 Huge thank you to Pantene for sponsoring this post! And as always, all opinions are my own. Hey babes! 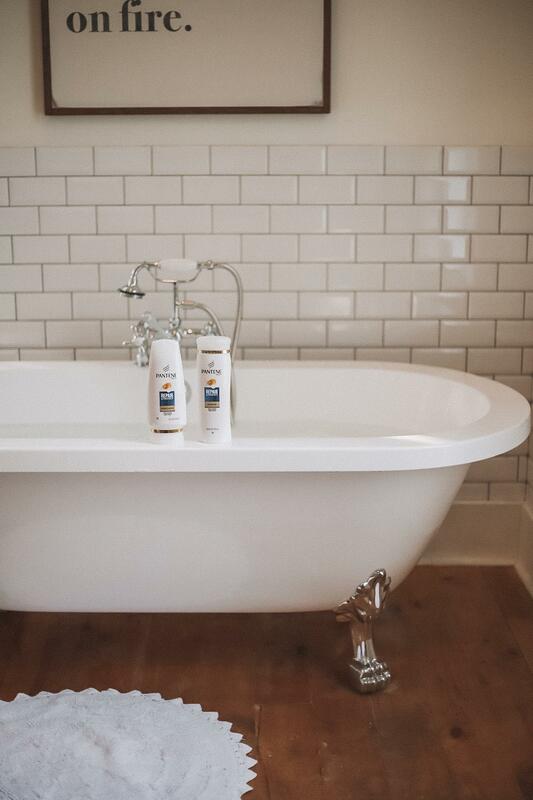 If you follow me on Instagram, you know that exactly two weeks ago today I started the #Pantene14DayChallenge where – for 14 days – I used ONLY Pantene’s Repair & Protect Shampoo and Conditioner. Now, before I go into all of the details of the challenge, I want to give you guys a little background story. I’ve always been a fan of Pantene (I mean – who isn’t really?!). I have used their Pantene Pro-V Hairspray for as long as I can remember, I absolutely ADORE the 3-Minute Miracle Conditioner and am always down to test out their new products when I seem them on weekly Target run. SO, when they reached out to see if I wanted to try the challenge, I was so, so excited. Now let’s talk about hair. My hair is pretty lame if I’m being honest with you guys. I’ve always had thin, stringy hair that lays flat with hardly any volume and is dry yet oily at the same time (how that’s possible? not even sure). So, what did I do? I got extensions, color it every few months and use heat on it almost daily. Now, I love the way it looks BUT my hair pays the price. Because I do so much to my hair, it’s become really susceptible to split ends, breakage and fried, dry pieces. I always try my best to take care of it with special treatments, oils and extra precautions (scrunchies, silk pillow cases, etc.) but it’s hard to find products that 1) make a difference and 2) are affordable. 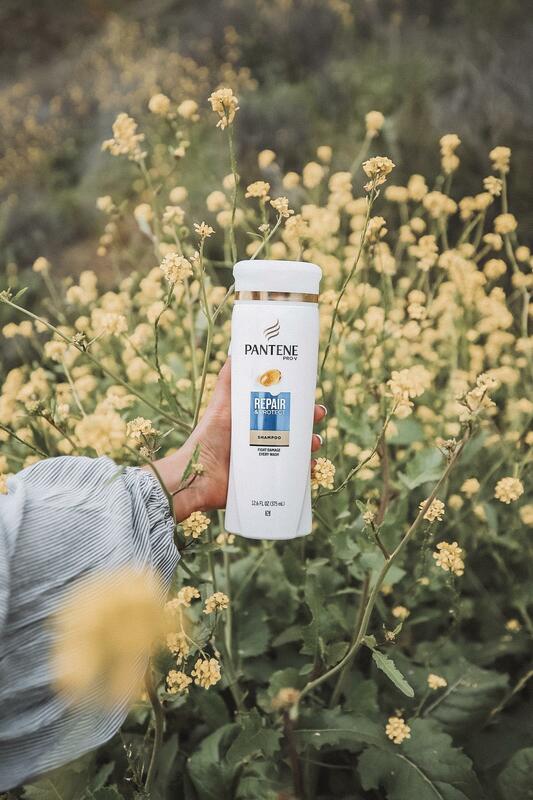 So, when I got Pantene’s Repair & Protect Shampoo and Conditioner, the first thing I noticed was that it was made with Pro-V nutrients and antioxidants to help my hair fight against breakage, all while becoming nourished, shiny and strong (AKA everything I needed!). Although that all sounded nice, I didn’t really expect to see that much of a difference right away because, let’s be real – who ever sees results that quickly? But BOY WAS I WRONG. After the very first wash, I noticed SUCH a difference. I had visibly fewer split ends – and by fewer I mean they went down by at least 50%. It was insane. Plus, my hair felt softer, looked shinier and I seriously felt like one of those girls with their hair blowing in the wind in the shampoo commercials (you know what kind of commercials I’m talking about). By week two I was having Caden touch my hair so much he wanted to try the shampoo for himself! I couldn’t believe that me – Maddie Perry who colors her hair every few months, uses heat, dry shampoo and hairspray almost daily – could have SOFT, STRONG HAIR. With each wash it honestly just got better and better. Plus, I’ve noticed that my curls have been lasting longer which I think is because my hair is so much more hydrated and smooth. So today is technically the last day of the challenge but it’s definitely not my last day using these products. I am seriously blown away by the instant results and the progress my hair has made over the past 14 days. According to a recent study at Yale University, only 1 in 10 women experience a great hair day regularly which is SO sad to me. I’m a huge believer in the quote “look good, feel good” and your hair plays a HUGE role in how you think you look. Even if other people think your hair looks fine, if you don’t love it, that’s what matters. 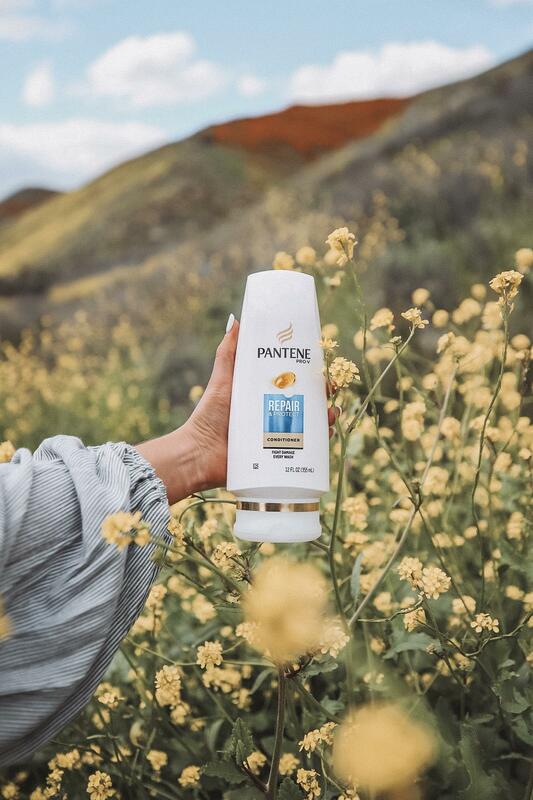 Every women deserves to feel confident and beautiful each and every day and I can tell you from my own experience that Pantene can help you achieve the hair you’ll love. Previous Post My Current Worship Playlist!